The County of Derbyshire is situated in the very heart of England. This is your online reference to equestrian facilities and horse riding in Derbyshire. Derbyshires 3,000 miles of countryside walks, bridleways and trails lead you through some of Englands most beautiful hills and dales. You’re never far from picturesque rural towns and villages where there is always lots of equestrian things to see and do. The Peak District, Englands first National Park spans over 500 square miles of Derbyshire and is one of the most popular and stunning areas of natural beauty in England. Here you’ll have easy access to excellent horse riding using the Penine Bridleway, the Five Pits Trail, the High Peak Trail and the Shipley country Park. Equestrian centres, trail rides and even stone tents provide a real mix of facilities for the horse rider in Derbyshire. As an ACPAT registered Chartered Physiotherapist graduated from the Royal Veterinary College, I have the highest level of training that can be obtained in this field, as well as a life long passion for horses and dogs. 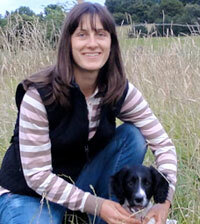 My aim is to provide an effective, honest, and down to earth service where you and your animals needs are put first. Riding stables and livery. Activities include hacking, riding tuition by qualified BHS instructors, pony mornings, evening rides, exam training. Indoor and outdoor school, separate classroom and cloakroom. Car parking with hardstanding for boxes. Do you have a problem horse or pony? Quality training 11yrs & up. Livery service. Group & private lessons. A.B.R.S / B.H.S Approved. Dressage & jumping lessons. Two floodlit arenas. Situated in Derbyshire, with stables within easy reach of a range of excellent bridleways for escorted hacks. We cater for all ages and experiences. 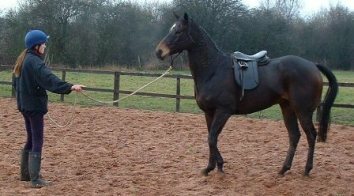 Friendly staff will provide you with a pony or horse to match your age, weight and expertise. Show Jumping and Cross-Country Training are available.